Hello, and thank you for taking the time to get acquainted with me and learn about my practice. 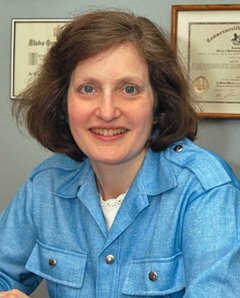 My name is Dr. Judith Okun, and I have been providing comprehensive orthodontic and TMJ care in Rye Brook, NY for over 20 years. I take pride in the fact that my patients regularly refer friends and family, and that I often treat multiple generations in the same family. I look forward to your first visit to my office, when we can become acquainted with each other and you can experience our warm and caring atmosphere. At this visit I will do a preliminary evaluation of your facial development and alignment of your teeth in order to determine whether you might benefit from orthodontic or TMJ treatment, or from a custom athletic mouth guard, and determine the ideal time to start treatment. Full diagnostic records will be taken at your second visit. Digital radiography, charting and scheduling. Orthocad Digital study models. Biomedical Technology’s Electro-Accuscope/Myopulse system for pain management. Drufomat scan pressure formed athletic mouth guards and clear retainers.TAD’s (temporary orthodontic anchorage devices). We have an interactive website (www.okunortho.com) where patients can sign in and view their own digital images, appointment schedule, and financial information. Our patients can also sign up for e-mail and text appointment-reminders.